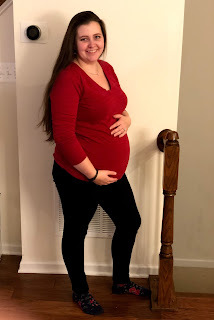 I am finally pregnant! 16 weeks today! After I gave birth to Heather we knew we wanted to get pregnant with number three quickly. I do not get pregnant while breastfeeding so we needed to wait till Heather was weaned. Around 10-11 months Heather weaned herself and we tried to get pregnant immediately. We had a really hard time conceiving and it was not for lack of trying. In the summer/fall of 2016 I was diagnosed with hypothyroidism. Something had been feeling off for a while, I had been extra tired, moody, and had a hard time losing the baby weight from Heather even though I was going to the gym multiple times a week and watching my diet. Oddly enough hypothyroidism causes all those symptoms as well as mild infertility. The first month I was on medication, I finally got pregnant. RJ and I were so excited, sadly at my first appointment there was no heartbeat, it turned out there was no heartbeat to find. I was pregnant, but it was just an empty sac. I miscarried on my own a few days later while we were on our first vacation to Disney World, luckily it didn’t put a damper on the trip too much. It was my first miscarriage and I knew I would have one eventually as 1 in 3 pregnancies ends in miscarriage. It was my 4th pregnancy and I had not had a classic miscarriage before, I knew it was just matter of time before I had one. It took us a few cycles to get pregnant again. I was very excited when I got pregnant. 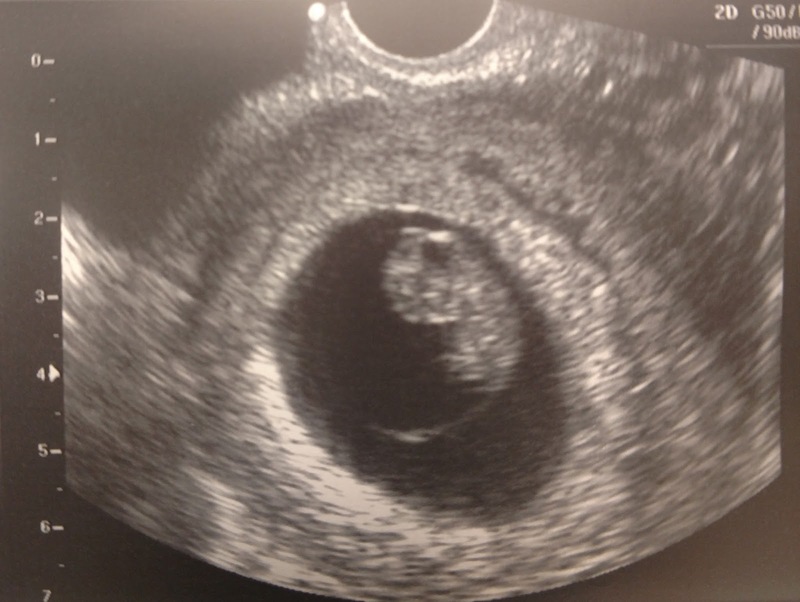 At my first ultrasound the ultrasound tech found another empty sac, I was completely devastated. This miscarriage was much harder to cope with than the first, I did not expect two in a row. It took my body much longer to miscarry on it’s own this time and it was very tiring, both physically and emotionally. I wish women would be more open about miscarriage. For something that happens so often, when I actually had mine I felt very alone, even though I shared it openly. I was lucky I had RJ, although he could never understand exactly what I was going through he was very supportive and made it much easier than it would have been without him. When I finally miscarried and recovered, we tried to get pregnant as soon as possible. Luckily I got pregnant after only 2 or 3 cycles this time. I was very anxious for my first appointment. Luckily they found a heart beat, and a healthy looking human growing inside! Even though I know there is a healthy baby growing in there, I have even felt the first few kicks, I still cannot stop worrying. In 2014 at our 20 week ultrasound our doctor discovered our baby boy (Reginald, Reggie for short) had severe fetal abnormalities. I was devastated. Our baby was dying. The best option for us was to have an elective termination. Reggie was getting worse by the day, and it was very obvious he would not make it to term. We chose to have an abortion. I didn’t want to be surprised and rushed to the emergency room. I was able to do it on my own terms in a safe controlled environment and say goodbye. My first glimpse of the baby at 9 weeks. Choosing to terminate the unviable pregnancy I desperately wanted was the hardest decision I have ever made in my entire life. If I was put in a similar situation again I would make the same choice without hesitation. After so many losses I have an irrational fear that this pregnancy will have problems like the one 3 pregnancies ago. The issues our baby boy had were not genetic, it’s a random complication and the chances of it happening again are very rare. Even though I know this, for whatever reason I have been having a really hard time not worrying about this pregnancy. I had Heather after we lost Reggie but I am more stressed about this pregnancy than I was with Heather. Maybe after so many losses my skeptical mind won’t let my hopes too high until I know for sure. Either way pregnancy after loss is very difficult. After two losses in a row, and a third very difficult lost in the past, this pregnancy has been particularly difficult for me. I am 16 weeks today. Even though I am in the clear zone for the average miscarriage, I am still going to irrationally stress like crazy till after our anatomy ultrasound. I am hoping we can get it done soon. I have a doctors appointment on Tuesday and I am sure we will schedule an appointment for my ultrasound that day. As excited as I am I cannot help but feel incredibly anxious. I look forward to sharing and posting updates here, good or bad. Hopefully good. I feel like I have a bit more time lately and I hope to write, and post more often. Thanks for reading!